Foreclosure via Facebook? With roughly 4 million foreclosures in the pipeline in this country, some legal experts say it’s just a matter of time until lenders win the right to serve foreclosure documents through the giant social network. That day has already come for one couple in Australia. When they defaulted on a six-figure loan and couldn’t be found via a physical address or email, the lender’s enterprising lawyers located them on Facebook. The lawyers were able to verify the couple’s identities by matching up their names and birthdates — and, of course, the fact that they had “friended” each other. While Marc Rotenberg, president of the Electronic Privacy Information Center in Washington, says he is unaware of Facebook being used in the U.S. to deliver legal notifications, but “it’s bound to happen,” he said. “The real concern the courts have is whether it’s a fair notice that the person actually receives.” According to Bloomberg BusinessWeek, courts in New Zealand, Canada and the U.K. already have adopted the Australian example to avoid having cases stall when people can’t be located and served in person. “There are people who exist only online,” Joseph DeMarco, co-chair of the American Bar Association’s criminal justice cyber crime committee, told the publication. 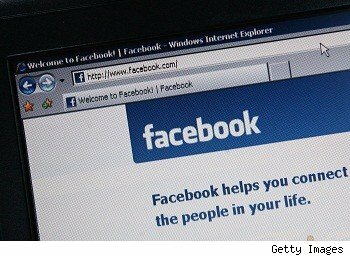 The ability to serve documents by social-media networks would be useful, he said. Is it appropriate to use social networks to find people and deliver legal papers to them via the network? But Facebook, said Rotenberg, is different. If you don’t have thousands of friends and you regularly post status updates indicating that you are active on the site, you lose the excuse that you likely overlooked the notice. Of course not everyone with a Facebook page visits the site regularly, but save it for the judge whether you’re one of them. Bottom line: It’s probably going to be determined to be legal, just not likely to be popular. And should use of Facebook as an electronic process-server escalate as a norm, you can expect it would have some adverse impact on the site’s participation levels. In the meantime, if you don’t want the banks to find you, the best defense is enabling your privacy settings on Facebook and be mindful of the personal data you post.